Enjoy your pagan bacchanal, however you choose to celebrate! I am a poor widow-woman whose husband was the former finance minister from a small nation that is rich in oil revenues. I am waiting to send you $5,000,000,000.00 (adjusted for inflation) that is currently sitting in my account at Lehman Brothers one 8×10 print for valuable information related to an upcoming trip from Washington, DC to New Orleans. I am looking for advice on crazy tourist traps, wacky events, interesting fast food restaurants, while I multi-task my way down to PhotoNOLA. If any of my readers have good advices I would appreciate if you would let me know and I will wire you the money immediately to your account send you an 8×10 print of my choosing in grateful appreciation. In late November, early December I will be travelling through Virginia (southwest), North Carolina (for nary a nano-second), Tennessee, Mississippi, and Louisiana. I will consider diverting from the route if the idea is tempting. Thank you in advance for your assistance. And may God bless your most merciful and charitable soul. Mom was in town yesterday and we trekked down to the National Portrait Gallery and SAAM (Smithsonian American Art Museum), two of my favorites. We saw a great photography exhibit called Women of Our Time: Twentieth Century Photographs (Oct. 10, 2008 – February 1, 2009). Who knew that Margaret Bourke White was such a hottie? A poignant image of Marilyn Monroe taken by a troop whilst she was entertaining in South Korea. Beautiful carbo (?) color images that were luminous. It was inspiring to revisit the accomplishments of these women, many of whom have been obscured by the passage of time and the fact that our national attention is too often directed at women whose actions in the news are less worthy of mention. 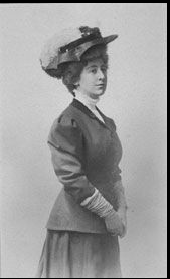 Women we should remember are those like Jeanette Rankin, our first female congresswoman who fought for women’s suffrage in Montana and achieved it before the 20th ammendment was passed nationally. She was voted out her first term after voting against our participation in World War I (she was a committed pacificist), she returned to Congress 26 years later and repeated her performance in voting against our involvement in world War II, the only member of Congress to do so. How we need people of such conscience today! 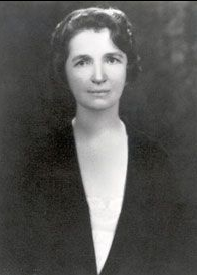 And Margaret Sanger, who has a nurse working with impoverished populations saw the need for birth control to break the cycle of poverty that ensued when women went from pregnancy to pregnancy. She was persecuted for her actions, jailed, and persevered. 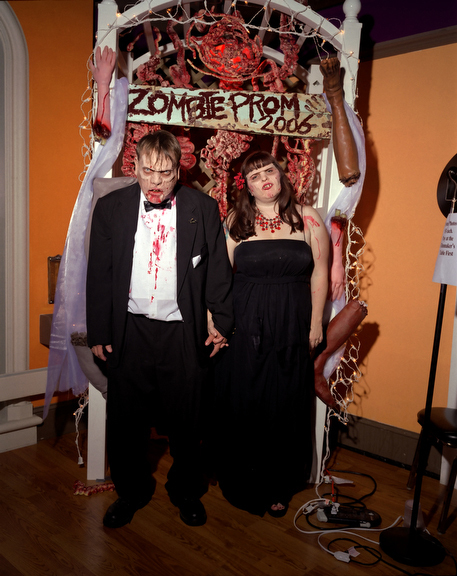 The show also reinforced to me the power of simplicity in a photograph. I have long berated myself in my portraiture in my inability to be Horst P. Horst. But some of the most powerful portraits were just simply lit and it’s about the presence of the subject that really makes it. I think sometimes that when we second guess ourselves we lose our path – often for me, it happens when I judge/compare myself against someone elses’ work/fame/success/failure. A good reminder to stay the course, follow your path, and not to evaluate myself against anyone else but me, yesterday. A clear head is hard to come by. There is a great slideshow and interactive on the website about the exhibit. You can see it here. I relate so much to this quote, being around other artists/creatives – the most open ones whose energy really flows out from them, I find opens me up to new ways of seeing and being and I love that dynamic. We are all in this together. Lucie Award Winner, Who Knew? So here I am preparing some prints for an exhibition in December and I need to take a time out so I google myself. This is not something I do very often, I don’t enjoy heeding the call of Narcissa, but there was nothing in my google reader and I’d already read two papers. Mostly I just like to confirm my belief that despite my emerging status in the english speaking world, I am big in Japan. So it was a nice surprise to discover that I had received an Honorable Mention in the Pilsner Urquell Lucie Awards. For those of you who applied to the Lucies and never heard anything, I suggest you do the same. By my reckoning there are about 1,000 honorable mentions in roughly the same amount of categories. Given that there were 22,000 entries, I’ll take that top 5% status. Does the subject influence our feelings about photos? Of course it does. But, can we separate ourselves from our like/dislike enough of a subject to appreciate the work of a photographer? I notice a lot of comments on the blogosphere on how excellent certain political photographers are. I have never noticed anyone to compliment a photographers’ work who is covering McCain. 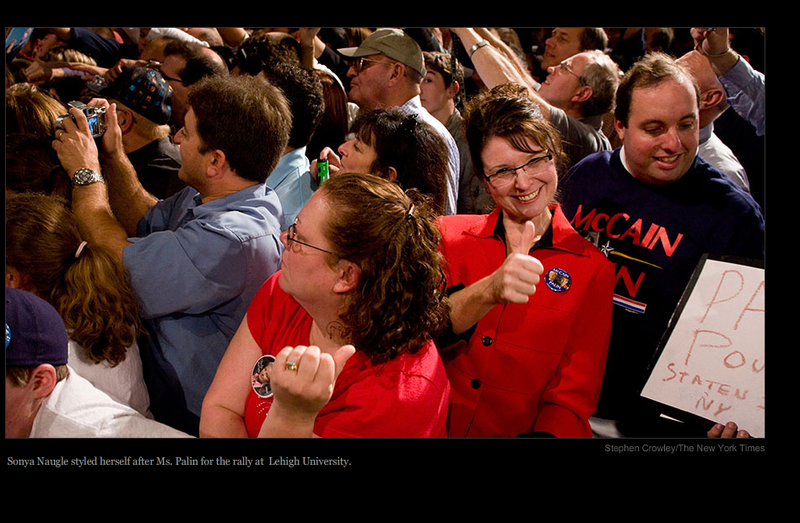 Are all the lousy photographers relegated to GOP coverage? Obviously a photographers’ choice of subject says a lot about him/her. But in the case of photographers covering the news, there is often no choice. I know that if I find a subject particularly offensive, I withdraw from the photo, but often I appreciate the photographers who pursue these subjects. Joel Peter Witkin comes to mind. I offer up for your criticism the work of a photographer I think quite a lot of, Stephen Crowley. Are the photos of McCain better or worse than photographs of the Obama campaign? You can check out a feature of his at the Digital Journalist here. A comment left there got me thinking about all this. Just started subscribing to the Wall Street Journal – which is a mighty fine read. Like the Washington Post it seems to save the bottom right corner of the front page for an item of local/national (in the case of the WSJ) interest. You can find this gem here today, about a treasure trove of an El Paso portrait studios photos being plucked from obscurity. Alfonso Casasola, who died in 1948, operated a successful studio in El Paso for many years. His cousin was the photographer of the Mexican Revolution. Now a librarian has plucked this work from obscurity (viva the librarians!) and found that she could enlist the public in identifying the characters from these images. 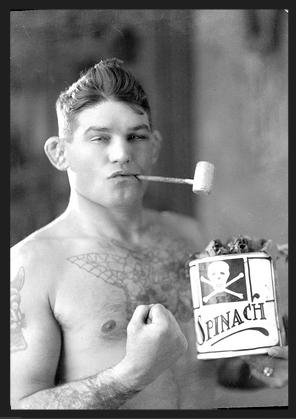 Anyone know Popeye? I love these kinds of stories – where the community gets involved and really appreciates the value of neglected, forgotten images. You can view the images here. I’ve decided that blog posting for me shall be like those gifts Boo Radley left in the tree for Scout: unexpected offerings that delight (hopefully). There are times when for a myriad of reasons the spirit does not move. Rather than make this my modern day confessional, there will be a silence whilst Look Underfoot is not underfoot – a welcome silence, it may be, but only temporary. 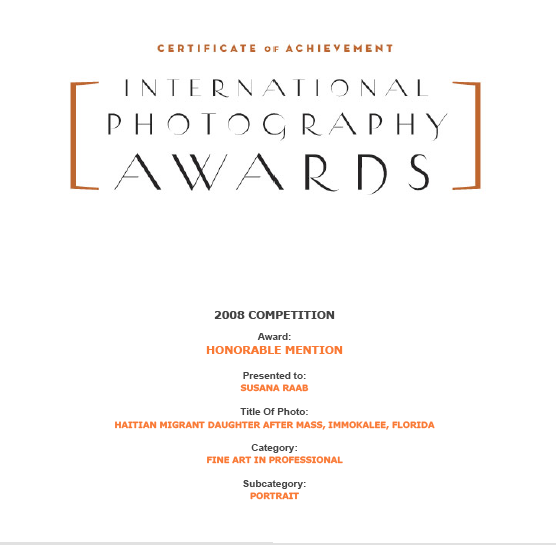 I got an email the other day from something called photography-now.net. 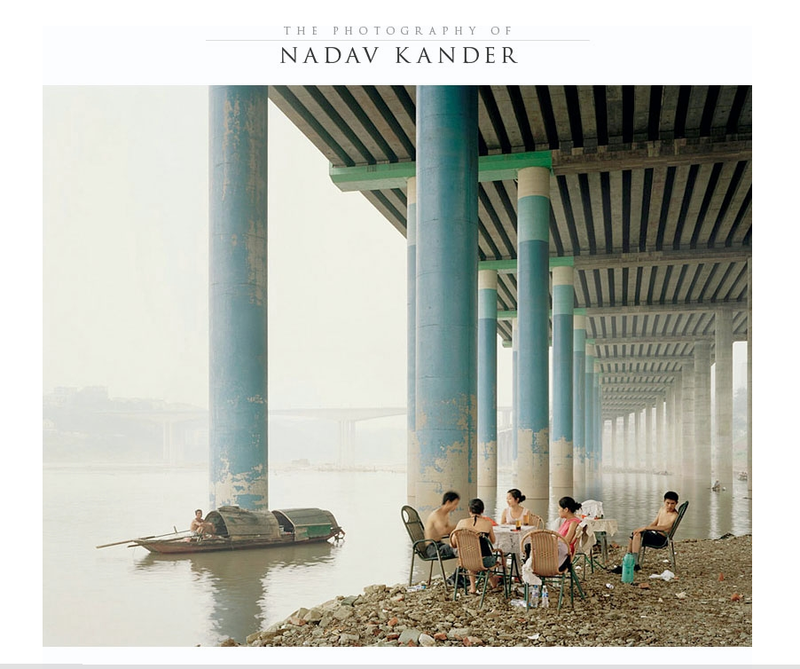 I visited their portfolio sites and saw a great project I hadn’t seen before by Nadav Kander. This was not his portrait stuff but a project from the Yangtze River and maybe it’s old news to you, but I was quite taken with it. Though I did find the edit a bit long and redundant -some issues with sequencing. But the work itself had some nice surprises in a variety of situations and that dreamy air pollution really mutes the palette. The site itself was nice but I read through the fine print and you have to buy some gallery for like $50 to be featured, which I’m sure Nadav is not! And the site overall looked like it had some issues to me – but if you are interested in viewing this project on the Yangtze click here. Belatedly, I pass on info about arts awareness month by fellow DC blogger Mike Licht. He writes about local arts funding opportunities here and might be a good bookmark if you are interested in more of that.